The Blue from American Express® card is a no-frills, no-annual-fee credit card with a solid but unspectacular rewards program and some solid travel benefits, including accelerated Membership Rewards point earnings on travel purchases made through the American Express Travel portal. Thanks to the versatile Membership Rewards program, Blue from American Express shares attributes in common with our best cash back credit cards and our best travel rewards credit cards, though it doesn’t make the cut for either list. I’ll be totally honest here: Blue from American Express is not the best rewards credit card around. Not even close. Its rewards rate is anemic compared with many competing no-annual-fee cards, such as Capital One Quicksilver Cash Rewards and the Chase Freedom Unlimited. Aside from some common travel and shopping benefits available to most American Express cardholders, it lacks noteworthy fringe benefits that might compensate for the less-than-ideal rewards program. And it lacks a sign-up bonus, though American Express reserves the right to offer limited-time bonuses in the future. This isn’t to say that there’s no place for Blue from American Express in your wallet. If you have good credit, but are relatively new to the world of credit cards and find yourself struggling to qualify for more exclusive products, this is a great starter card that can help you build your credit and eventually graduate to more generous opportunities. Interested in learning more about Blue from American Express? Here’s what you need to know. Blue from American Express earns unlimited 1 Membership Rewards point per $1 spent on all purchases, except travel purchases made directly through the American Express Travel portal (Amex Travel). Amex Travel purchases earn unlimited 2 Membership Rewards points per $1 spent, with some restrictions – for instance, the 2x rate doesn’t apply to rental car reservations or non-prepaid hotels. You can redeem your accumulated Membership Rewards points for pretty much anything, including American Express gift cards, third-party vendor gift cards, award travel, general merchandise, special experiences, and more. You can also redeem your points for statement credits against specific purchases. Points are generally worth $0.01 apiece or less at redemption, with exact values varying by redemption category. Redemption minimums also vary, but typically start at 1,000 points ($10 value). Roadside Assistance in North America and Select Jurisdictions: You enjoy 24/7 roadside assistance in the U.S., Canada, and select overseas territories (including Puerto Rico). Calls are free, but you may be responsible for third-party towing and service charges. Complimentary Rental Car Coverage: When you pay for your car rental in full with your Blue from American Express Card, you enjoy complimentary loss and damage coverage. Global Assistance Hotline: Available to travelers journeying more than 100 miles from home, the Global Assistance Hotline is a 24/7 service that offers access to “medical, legal, financial or other select emergency coordination and assistance services, including medical and legal referrals, assistance with cash wires, passport replacement, missing luggage and more.” Depending on what you need, some service charges may apply. Travel Accident Insurance: You’re entitled to complimentary death and dismemberment coverage on common carrier travel, provided you paid your fare in full with your Blue from American Express Card. Basically, it’s a bare bones travel insurance policy. Extended Warranties: You’re eligible for extended warranties of one year on purchased items with existing warranties of five years or less. 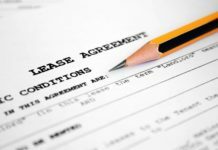 Return Protection: If the original vendor rejects your attempt to return an item within 90 days of purchase, Return Protection may reimburse you for its cost (limit $300 per item and $1,000 per calendar year). Purchase Protection: If a purchased item is lost, stolen, or damaged beyond repair within 90 days of purchase, you may be eligible for a refund under American Express’ Purchase Protection framework (limit $1,000 per occurrence and $50,000 per calendar year). ShopRunner: As a cardmember, you’re entitled to complimentary ShopRunner membership, which provides free two-day shipping on purchases from more than 140 participating merchants. There is no annual fee or fee for additional cards (authorized users). Balance transfers and cash advances cost the greater of $5 or 3%. Foreign transactions cost 2.7% of the total transaction amount. Late and returned payments cost up to $38. 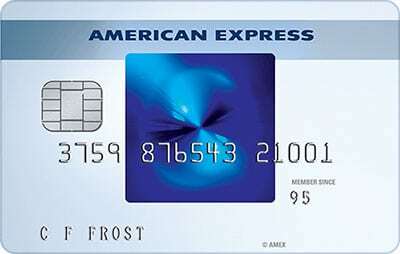 Blue from American Express Card requires good to excellent credit. No Annual Fee. Blue from American Express has no annual fee. That’s welcome news for frugal cardholders who don’t spend heavily enough to offset even modest recurring levies. 2x Points on American Express Travel Purchases. This card earns 2 points per $1 spent on travel purchases at the Amex Travel portal. If you travel regularly, this can significantly increase your Blue from American Express Card’s average return on spending and swell your Membership Rewards points cache. No Limit on Point Earnings. There’s no limit to the number of Membership Rewards points you can earn with this card. If you’re a heavy spender, that’s great news. Can Put Points Toward Individual Purchases. The Membership Rewards program is quite versatile – you can redeem your accumulated points for pretty much anything, from travel and gift cards to merchandise and special experiences. One of the program’s nearly unique capabilities is the flexibility to use points for charges – in other words, to offset specific Blue from American Express purchases with previously accrued Membership Rewards points. That’s a flexible, instantaneous redemption option that’s just as good as cash. Doesn’t Require Stellar Credit. This card isn’t meant for rebuilding credit, and it’s not a secured credit card, but it’s still nice that it doesn’t hold applicants to unrealistic credit or income requirements. If you have solid credit with no major blemishes in the recent past, you stand a decent chance of qualifying – though American Express has the final say. No Sign-Up Bonus. Blue from American Express does not have a sign-up bonus. This is a big disadvantage relative to many cash back and travel rewards credit cards, which typically offer generous rewards for new cardholders who can meet their spending thresholds. For instance, Discover it doubles all cash back earned during the first year, while Blue Cash Everyday from American Express offers a sign-up bonus worth up to $300. Anemic Baseline Rewards Rate. This card has an anemic baseline rewards rate: just 1 point per $1 spent. That’s lower than many popular no-annual-fee cash back cards, including Barclaycard CashForward (unlimited 1.5% cash back) and Citi Double Cash (unlimited 2% cash back when you pay your balance). If you can qualify for one of those cards, they’re almost certainly better for your bottom line. No Introductory APR Promotion. This card has no introductory APR promotion. Such promotions are common in the no-annual-fee cash back space. For instance, Amex’s EveryDay and Blue Cash Everyday both have 12-month, 0% APR promotions for purchases and balance transfers. If you need to transfer existing high-interest credit card balances or finance large purchases without accruing a massive interest load, seek out one of these options instead. 2.7% Foreign Transaction Fee. This card’s 2x rewards rate on American Express Travel portal purchases is nice, but the 2.7% foreign transaction fee is a bad deal for frequent overseas travelers. If you regularly leave the country for business or pleasure, carry an alternative like Chase Sapphire Preferred. Has a Penalty APR. Blue from American Express charges penalty interest on past-due balances. If you occasionally miss payment due dates due to cash flow issues or unexpected expenses, this could add hundreds to the cost of your credit card each year. Many alternatives, including popular products from Chase and Capital One, don’t charge penalty interest. Blue from American Express® defies categorization. On the one hand, its Membership Rewards points can be redeemed for a wide range of items, including cash and statement credits to offset specific purchases. On the other, it achieves the best return on spending when cardholders use it for travel purchases at the American Express Travel portal. So, is it a cash back card or a travel card? Maybe both, or maybe neither. Blue from American Express Card is very much what you want it to be. And, while it’s not the most generous rewards credit card around, it’s worthy of consideration. Give it a closer look and let us know what you think in the comments. Blue from American Express® is a no-frills credit card that’s perfectly fine as a stepping stone to a more generous credit card, but isn’t an ideal long-term spending aid. The ideal user is a frequent traveler who books through the American Express Travel portal and appreciates the flexibility of the Membership Rewards program. Those looking for above-average returns on spending, generous sign-up bonuses, and fee-free foreign travel need to look elsewhere. Key benefits include no annual fee, 2x points on American Express Travel portal purchases, no limit on Membership Rewards point earnings, the ability to offset individual purchases with accumulated Membership Rewards points, and relatively lenient underwriting standards. Major drawbacks include the lack of a sign-up bonus, mediocre-at-best baseline point earnings, the 2.7% foreign transaction fee, the lack of an introductory 0% APR promotion, and penalty interest charges on past-due payments. Overall, this is a fine card for those who don’t qualify for more generous cash back products, but several American Express cards (and plenty of others) have it beat on the merits.